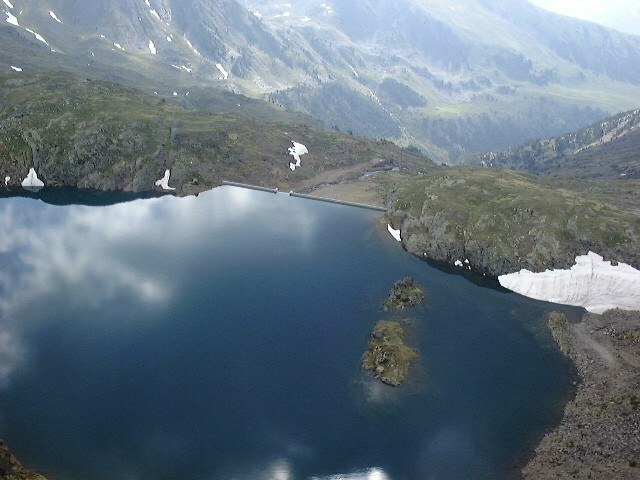 In Andorra we have five natural lakes with their hydraulic dam distributed between the valley of Madriu and the valley of East Valira. FEDACULTURA proposes a challenge for mountain lovers to know these wonderful places and discover their useful and more unknown side. 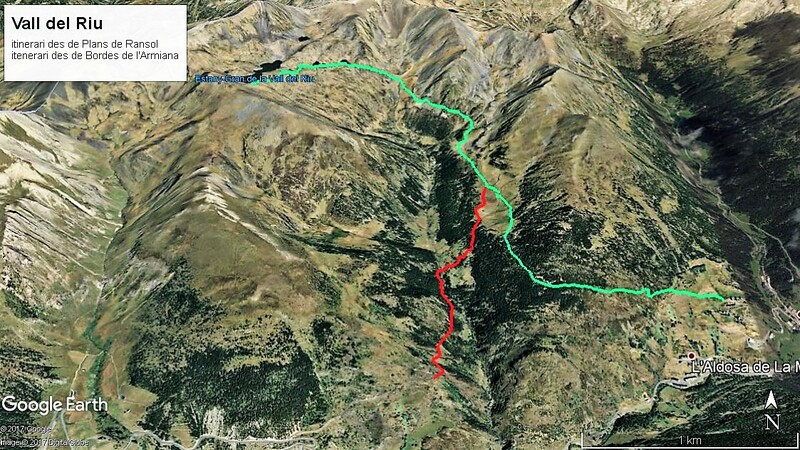 The proposed routes are made by marked trails without excessive technical difficulty. 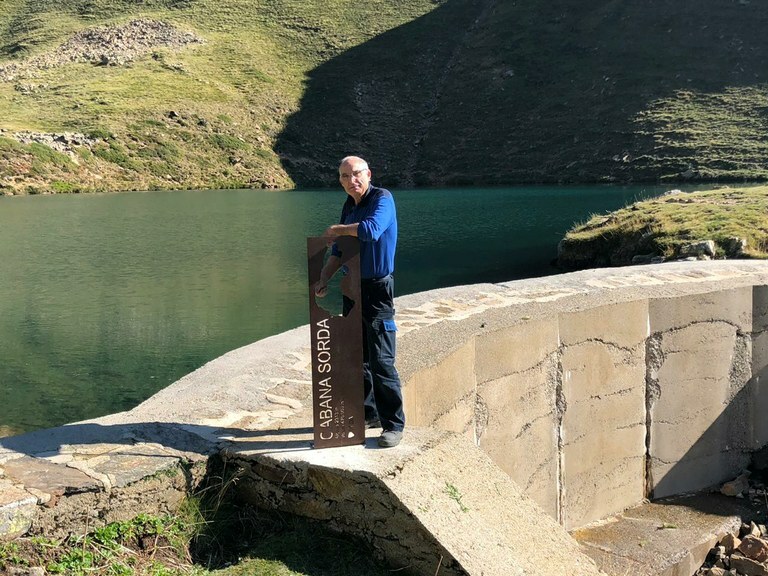 For those who complete the visit of the five lakes with their dam and take a photograph with their identification totem (posar link foto exemple), they can go to get a gift to the MW Museu de l’Electricitat posting the photograph on Instagram with the address #mursdaigua. 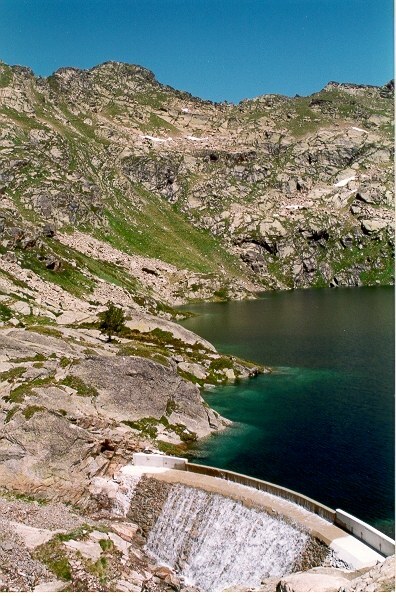 The five lakes are those of Illa, Juclar, Cabana Sorda, Vall del Riu and Engolasters. What is a hydraulic dam and what is it for? A hydraulic dam is an obstacle built through a river or a lake to divert water or retain it. In the case of the Engolasters dam, it serves to retain the water derived from the rivers, create a vertical drop and take advantage of its the energy thanks to the associated infrastructure. In the other lakes the dam serves to save the water that comes from the spring thaw and the summer and autumn rains. Before the winter begins and the rivers freeze, the dammed water is returned to the river to increase its flow and to use its energy in Engolasters where it’s collected. 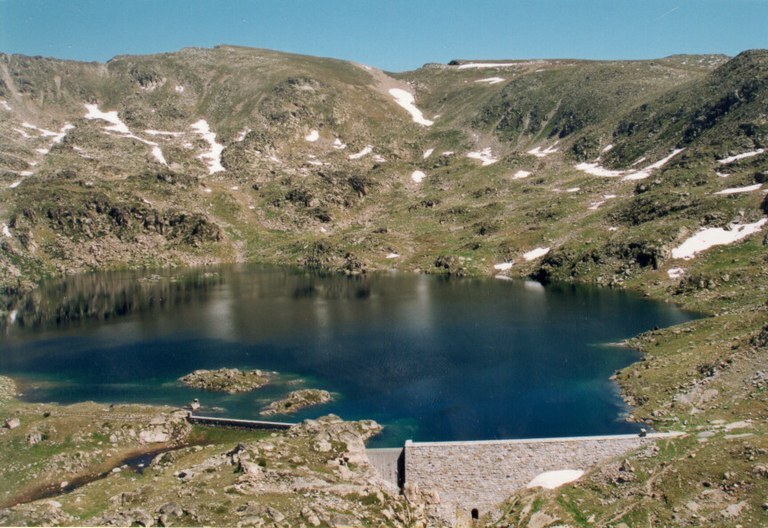 The dams in the high mountain lakes have a very important role in the production of electricity in Andorra. Its reservoir capacity can generate up to 6.5 million kWh of electricity per year which would represent 1.1% of the total consumption of the country. The dams are built to raise the natural level of the lake and to increase its reservoir capacity within its possibilities. These depends on the basin of the lake and the precipitations of the area. In addition you have to build an emptying tunnel to empty the lake and thus take advantage of the water reservoir. This tunnel is made from the lowest point of the lake and to an area located under the dam where a valve is placed that acts like a tap to open or close the watercourse. The valve is usually closed at the beginning of the spring to save the water from the snow melt and from the rains of the summer period. This fills the lake and, if necessary, the excess of water pours by the dam's discharge channel. 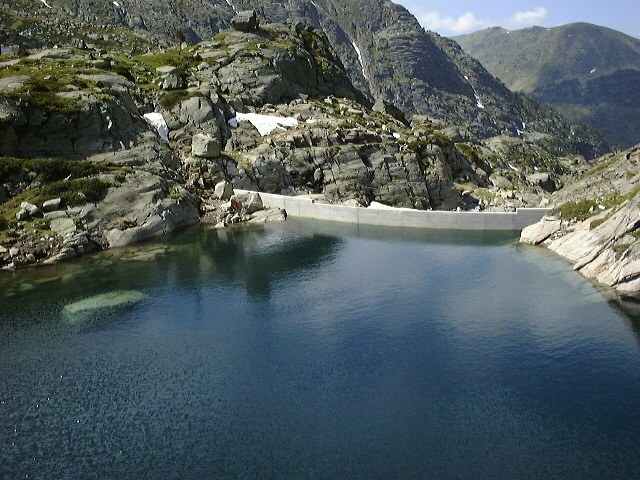 At the beginning of December, before the frosts, the valve is opened to empty the water reservoir progressively and increase the flow of the river so that the water is used to produce electricity in the hydroelectric plant of Encamp, located below the Engolasters lake, where water from the rivers has been derived. Per poder visualitzar aquest video actualitzeu el vostre navegador. Going to the Juclar lake is a very pleasant hiking where you can admire the wild landscape that surrounds it. We will have the surprise of seeing two lakes closely, the largest is the one with the dam, and we will also have a refuge next to it where we can make a meal or spend a night with all the comforts. It’s located deep in the Incles valley. We access by the road but during the summer it’s closed and we must take the electric train if we do not want to walk 3 additional km. 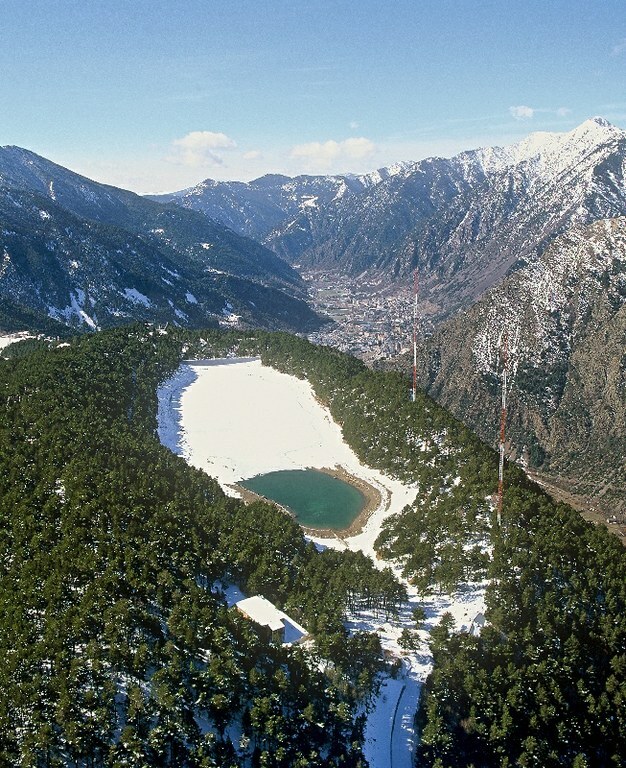 This lake is the largest of Andorra. Its dam was built between 1933 and 1936. We can still see the ruins of the hut where the workers were lodged during their construction, below the dam. See construction photographs. Since then, several important works have been done to renovate the dam and the valve, the last one was during the summer of 2014. When they are full, the two lakes can be connected, but it rarely happens. The refuge of Juclar is located a few meters from the dam. It’s a sheltered refuge during the summer with all the comforts. duration: 3 h 50 (2 h 10 go up and 1 h 40 step down). It’s located in the Incles valley and it’s the smallest lake with a hydraulic dam. We access by the road but during the summer it’s closed. You can walk 1.5 km or take the electric train. It’s a very popular family hiking due to its proximity and beauty. This lake is the smallest of those with a hydraulic dam. It was built between 1935 and 1936. 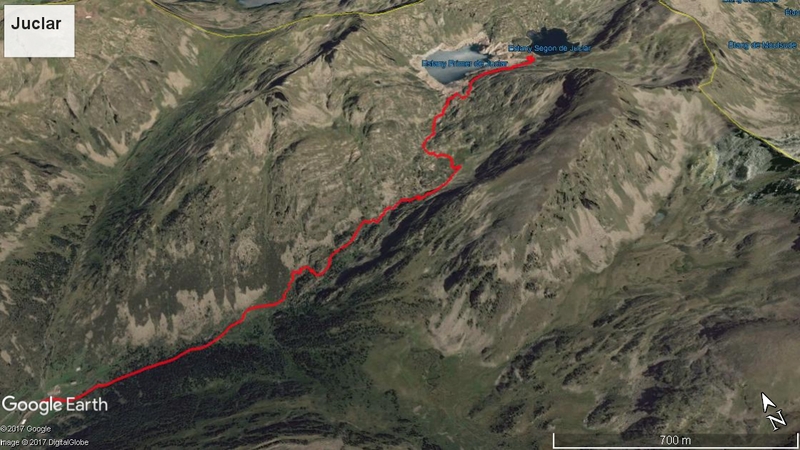 Next to the lake we will find the refuge of 20 people capacity. The lake is usually filled almost always during the summer. It’s located deep in the Madriu valley, declared a World Heritage Site by the UNESCO. 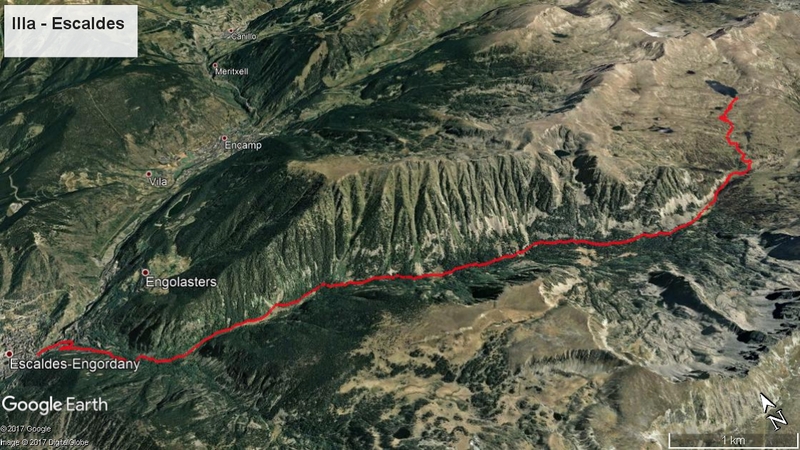 You can access to it by two different and spectacular routes: from Escaldes climbing up the Madriu valley or from Grau Roig crossing the Pessons circus. Two very interesting and differentiated itineraries. Of course, we need the entire day if we want to make a round trip. We have the possibility to spend the night in the sheltered refuge of the Illa lake, the most modern refuge inaugurated in 2017. 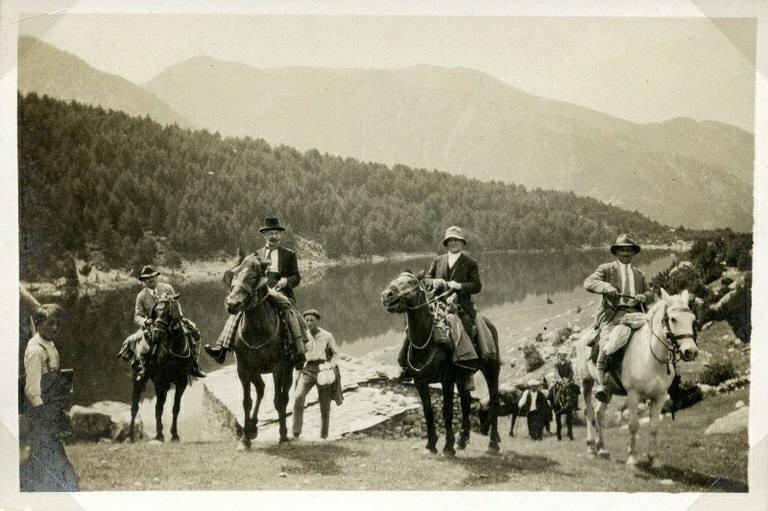 The dam of the Illa lake has a lot of history. It was built during many summer periods, starting in 1947 and being extended until 1955. During all these summers the staff that worked in this project was housed in a construction under the lake that has served as a non-sheltered refuge since the 80's and it’s the base on which the current refuge has been built. It’s the most recent dam of the infrastructures of FEDA. It was built during the summers of the years 1998 and 1999. It’s located in a wild and unfrequented valley. The Engolasters lake is the most accessible and nearby lake. It has all kinds of comforts: restaurants and various recreational activities, also you can arrive there easily. 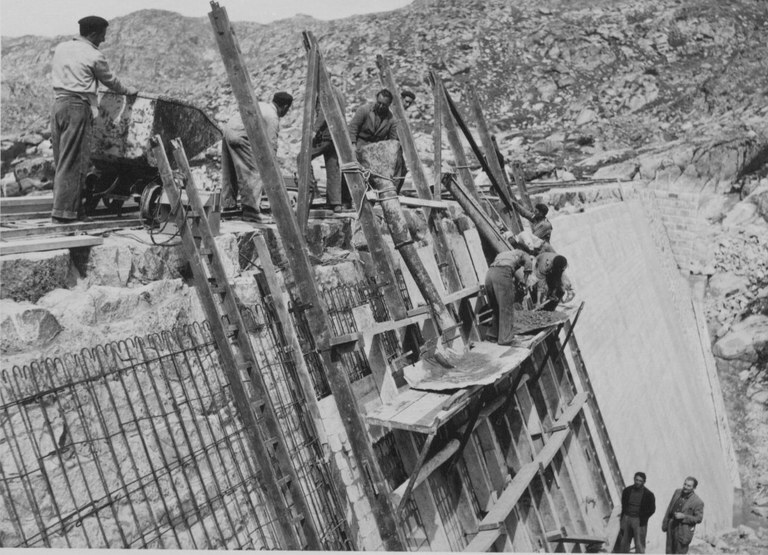 The Engolasters dam is the first one built in Andorra (1932-1934) and has a strategic role in the hydroelectric network of FEDA. FEDACULTURA has installed some panels around the lake that give explanations of this extensive and varied role. Visitors can do the Camí Hidroelèctric d’Engolasters if they come during the summer which is the opening period. 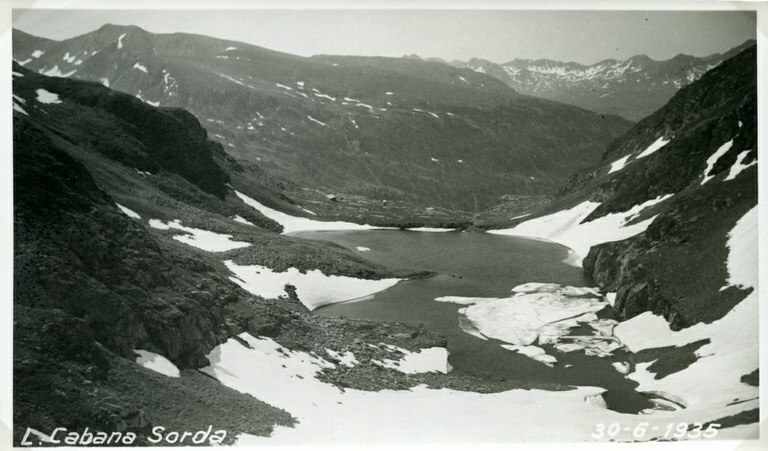 The Engolasters lake is a lake that, before being a reservoir for a hydroelectric use, existed for natural reasons without having a river that fed it. There is a legend that wants to explain its origin and that we can find in Andorra antiga . Now this lake is the main water reservoir of the hydraulic device. This means that its utility is to control the dammed water, and its potential energy, with the objective of driving it to the hydroelectric plant to transform it into electricity through the forced pipe that connects the lake with the power station. 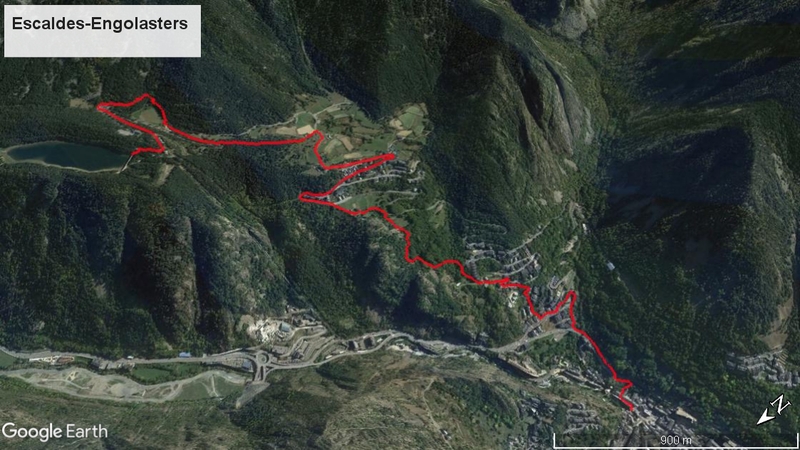 We can do two very interesting and differentiated itineraries from Encamp or from Escaldes following the old way that was used before constructing the road to Engolasters and where we can discover the Romanic chapel of Sant Miquel d'Engolasters. 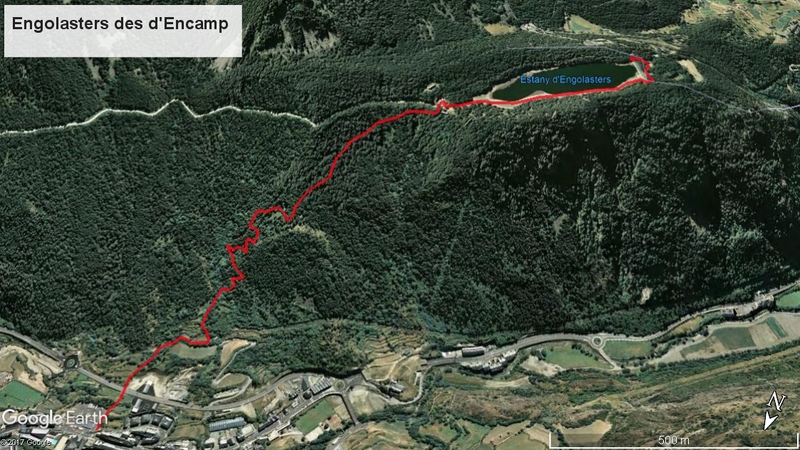 The itinerary from Encamp is the shortest one. 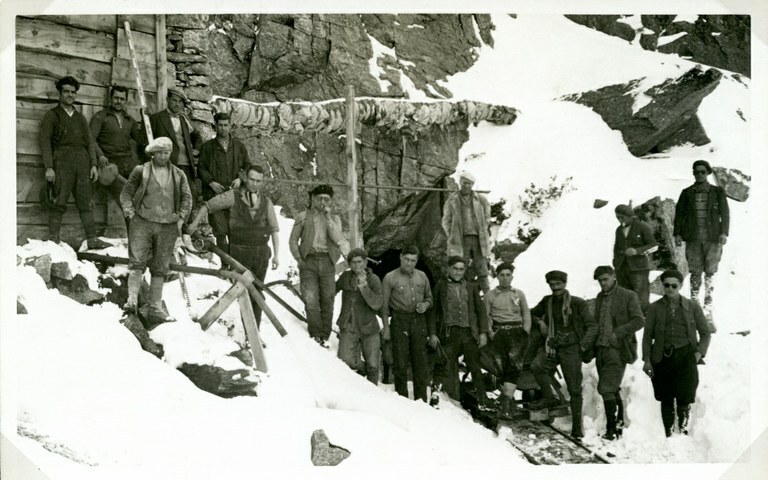 We will take the old way that was used before constructing the road to Engolasters. 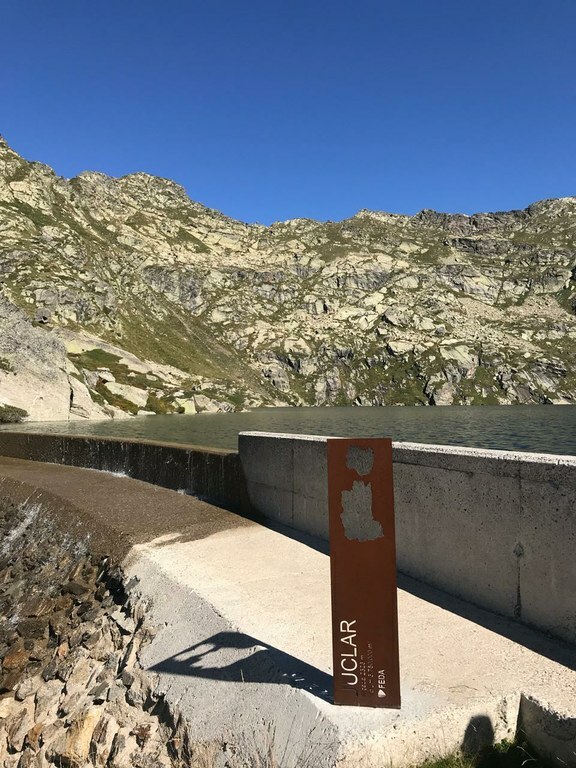 Take a picture on each lake with its identifying totem, post them on Instagram with #mursdaigua and then get your gift at the MW Museu de l’Electricitat. In case of emergency, call 112. You need give the location of the place with all the possible details, the name and age of the injured, and the information about the incident. Alpify: We recommend this very useful application to show your GPS location to the emergency services. It’s preferable to go accompanied and above all to warn someone of your departure (posar icona descarregable). Download Safe365 for Android or Safe365 for Apple. Prepare the departure in advance depending on the level of the itinerary (difficulty, duration, altitude difference, physical conditions). Inform yourself about the weather forecasts. In the mountains, weather changes rapidly. Take the appropriate material for the hiking and in particular waterproof and warm clothing, sun cream and suitable footwear. 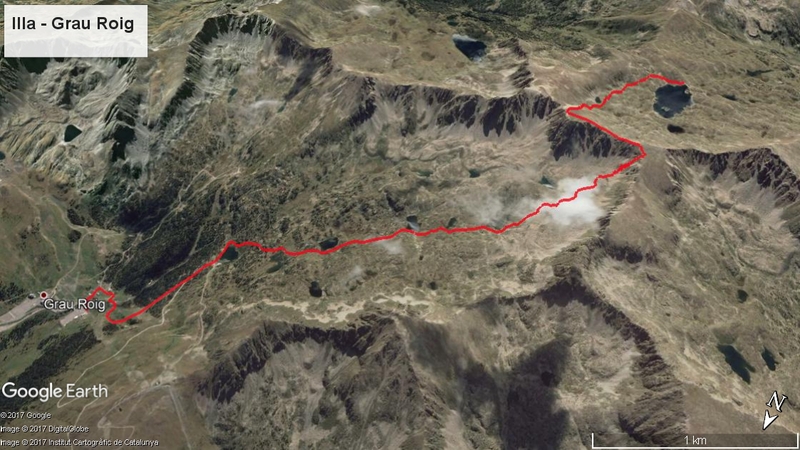 You need to bring a mountain map of the area where all the ways and trails with their level curves are detailed. 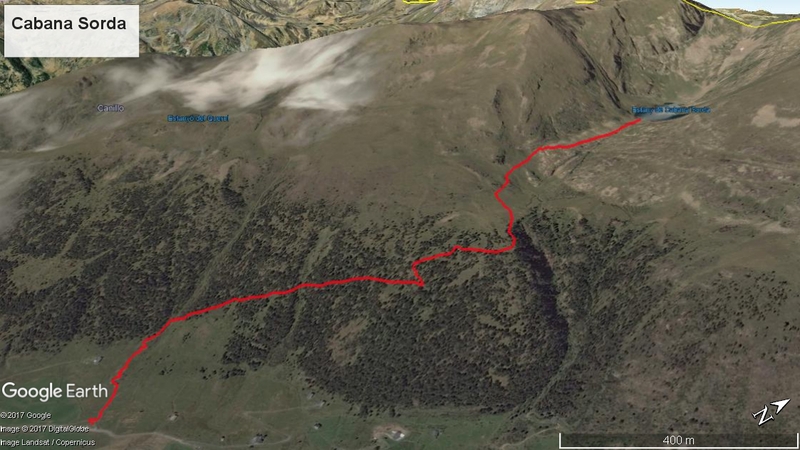 Download the track of the itinerary to use a GPS device (for exemple Wikiloc). The trails are signposted, you need to be careful and, if you do not see the signposts, walk back until you find them.